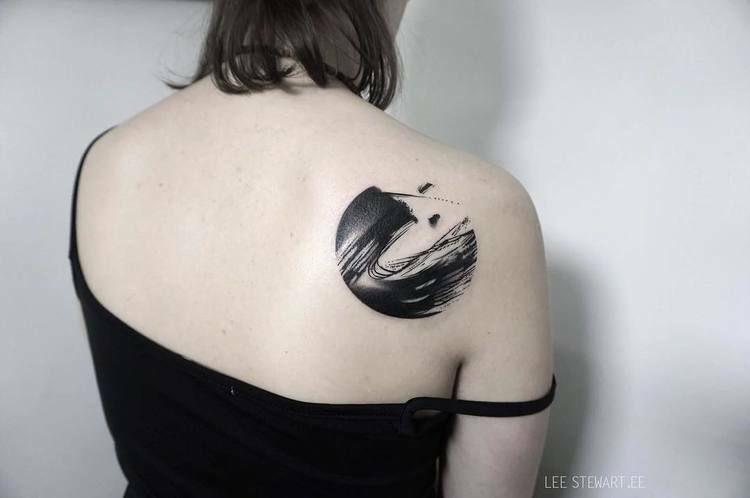 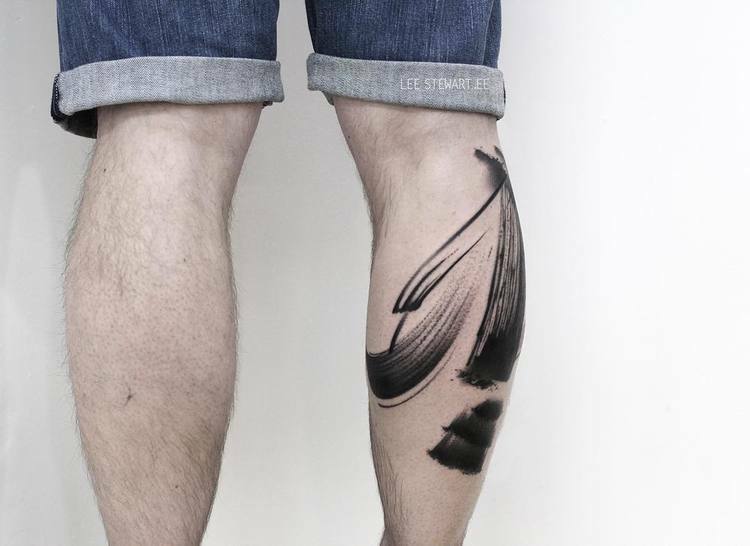 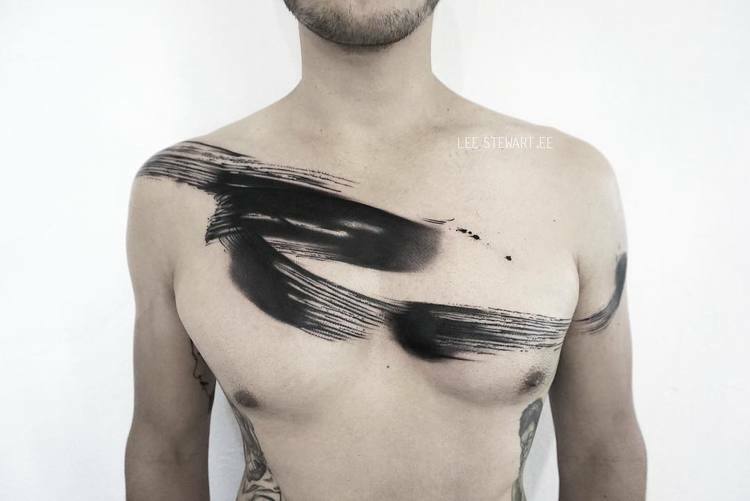 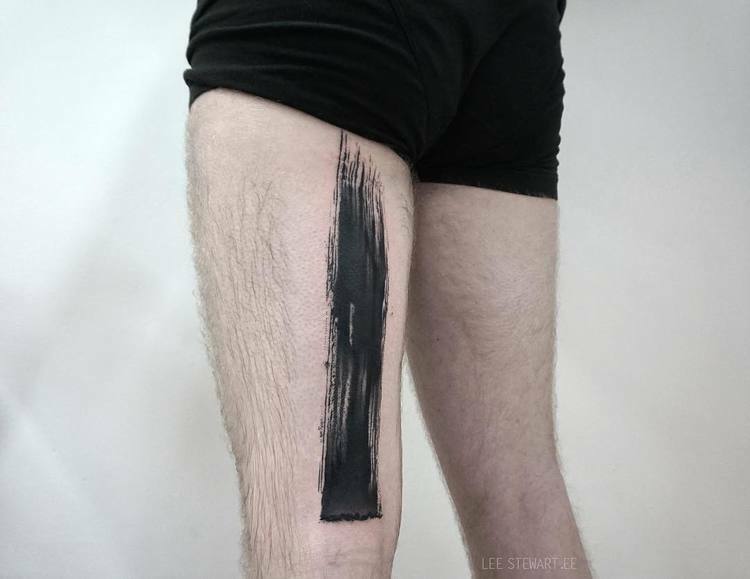 Lee Stewart is an abstract tattoo artist currently residing and working in London, England. 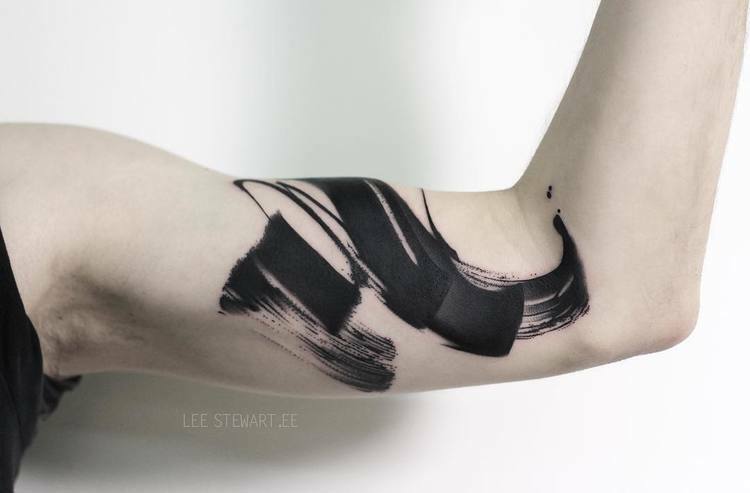 She specializes in bold brush stroke tattoos done in black ink that simulate the fluid gesture of a paintbrush on canvas. 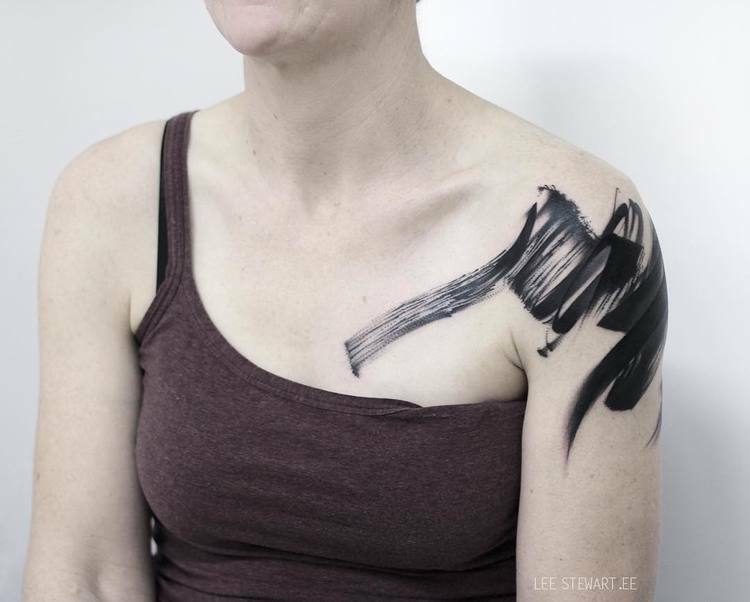 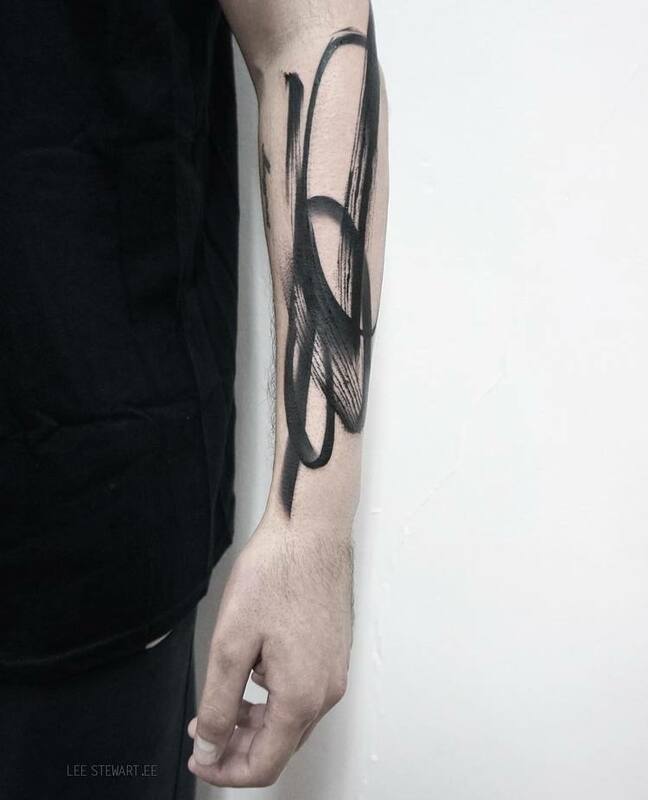 In the following we have collected some amazing Blackwork Brush stroke tattoos by Lee. 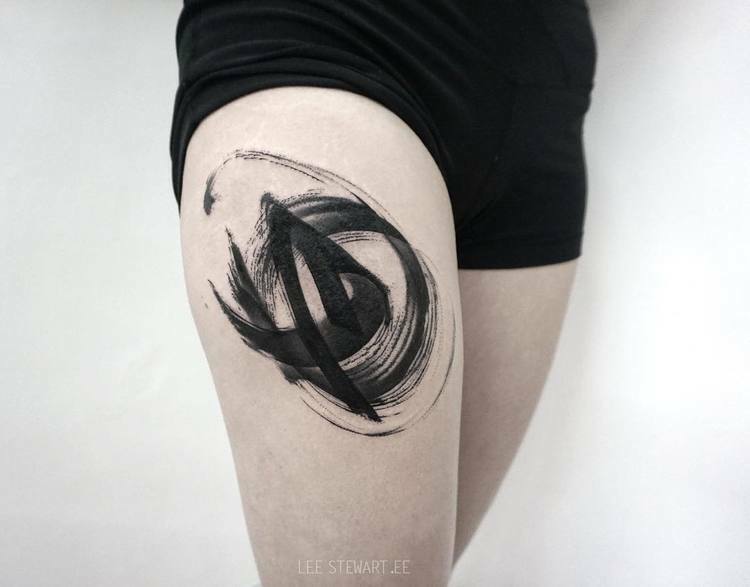 Lee’s style is influenced by the street art of Berlin and East Asian ink wash painting and her designs range from single brush strokes to intricate abstract compositions. 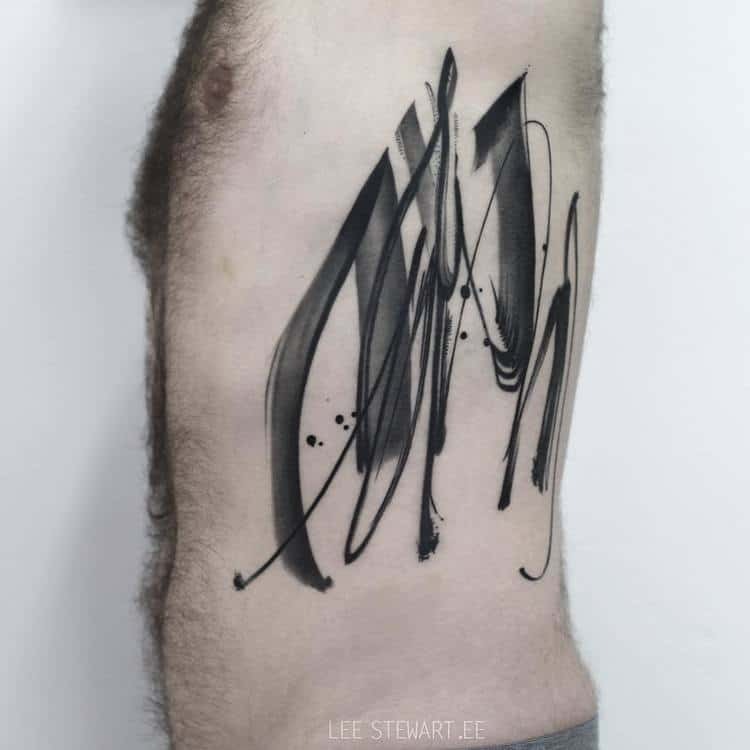 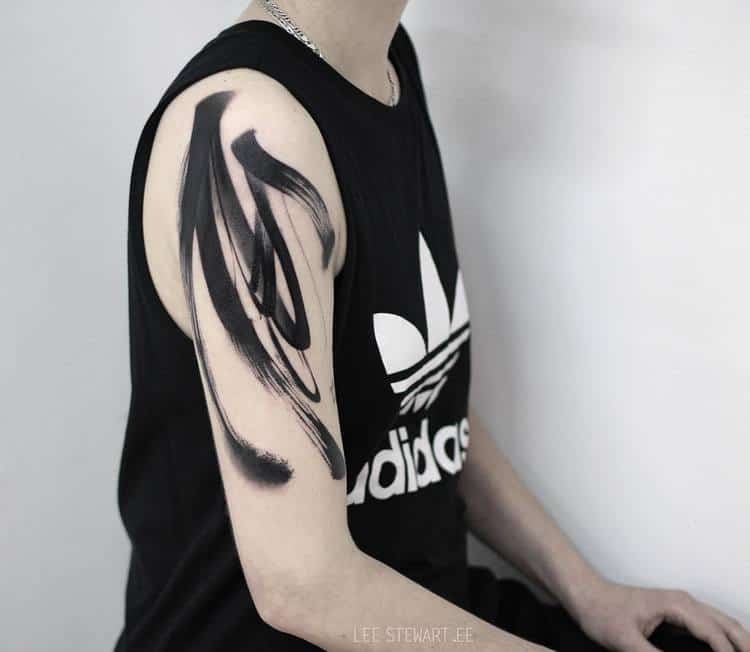 Take a look at our selection of Lee’s abstract brush stroke tattoos below and follow her on Instagram for more designs.